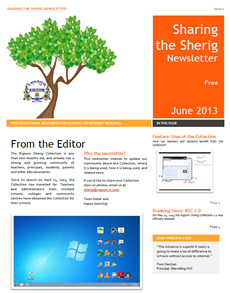 "Sharing the Sherig" is the official Rigsum Sherig Collection newsletter. The newsletter updates our community about the Collection, where it is being used, how it is being used, and related news. If you’d like to share your Collection story or photos in a future issue, email us at sherig@rigsum-it.com.